From classics to barely trodden, check out these 10 incredible hikes around the world. If the idea of venturing out on unfamiliar trails in an unfamiliar country makes you nervous, never fear: that’s what our qualified hiking guides are for! 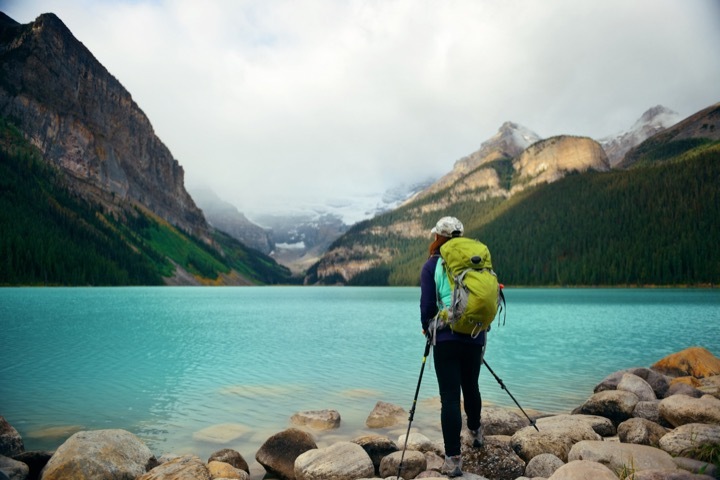 Greg, a member of the Association of Canadian Mountain Guides, can lead you on a day hike into the Banff back-country, where you’ll witness the majestic beauty of Canada’s oldest National Park. Slovenia – recently named the world’s “greenest” country – is a mecca for hikers in search of stunning alpine vistas and quiet trails. Our guide Greg will share with you some of the best trails and views on offer on a day hike in the Julian Alps. The villages of Italy’s Cinque Terre have become crowded with visitors, but the trails between the towns remain quiet and contemplative spaces, with views of sea and vineyards that feed the soul. Hike between two or all five villages with our guide Anna. National Geographic recently named Peru’s Salkantay Trek "One of the 20 most extreme, hair-raising, legendary adventures on the planet." This alternate route to Machu Picchu avoids the Inca Trail in favour of a less-trafficked trails. Our local Peruvian guide/Marathon runner Juan will take care of all your needs on this 5-day Andes trek. As our Welsh climbing guide, Jim, explains: “By the standard of any mountain range in the world, the Snowdon massif is exceptional. What this mountain lacks in height by global standards, it more than makes up for by the complexity of its architecture and natural history.” Hike the 1000 metres to the top and back in a day. Crowned by an eternal snow-cap, Mt. Kilimanjaro is situated inside Kilimanjaro National Park in Tanzania; it’s the highest mountain in Africa and the tallest freestanding mountain on earth. If you’re ready to truly challenge yourself, this is the hiking adventure for you, and our guide Dunstan can help make it happen. Mt Everest isn’t the only peak over 8000m high in Nepal. The breathtaking (literally!) Annapurna range boasts the staggering Annapurna Massif, whose flanks glow a rich rose-gold at sunset. A 4-day trek here is one of the most rewarding you’ll ever take, as you hike ancient paths deep into the Himalayas. Enjoy incredible views and marvelous solitude in the rugged northeast corner of Armenia. Your guide will hike with you along the 10km (return) Lastiver trail to hidden caves and waterfalls. These hikes are just a start: our guides can customize a route that suits your fitness levels and interests, and takes into account the season and weather conditions. All you need to do is send any of them a message to get the conversation started. Have fun being active on your vacation!